It has been a while since I have written. I visit here often though, because I have links to all my favorite blogs that I follow on a regular basis. I just haven’t really had anything significant to say since my last post about Isla’s 1st birthday. Honestly, I have been waiting and hoping for an opportunity to post good news about expanding our family and turn this into a happy place to document our happy ending. But that opportunity has not come. It is something I struggle with on a monthly basis, every time I don’t get the news I so desperately hope for. At times I feel like I am just in a holding pattern…waiting…waiting…waiting, not feeling fully complete and that this sadness and yearning to hold another baby in my arms has defined me over the past year and a half. I have been holding on to the notion that the only thing that could fill the hole in my heart that Isla left is another pregnancy. It has dulled my spirit a little bit. I visited my Doctor last month to have a talk with her about my struggles. She acknowledged how hard it must be even though she doesn't actually know how it feels (she was a firsthand witness to the heartbreak when she delivered Isla’s lifeless body). She encouraged me to try and relax a little because being stressed out just doesn't help. She still feels strongly that I am capable of having a healthy pregnancy despite a stillbirth and subsequent miscarriage. Todd often reminds me that I have no control over what the future holds as far as adding to our family. He is right. The truth is that I already have so much to be thankful for. I have a wonderful and supportive husband that stands by my side and treats me like a Princess…he is truly my best friend. I have a beautiful, precious, sweet daughter, who is the absolute light of my life…my little sidekick! We have a lovely home, good, stable jobs and everything we could need in life and most important…we have love, we have fun, we laugh….and have the best time together as a family, no matter what we are doing. So my birthday wish, as I begin my 38th year is to live in the present, being happy, healthy and appreciative of all the good that surrounds me, with faith that the best is yet to come in our future, whether it is the 3 of us or more! Wishing you were here with us to celebrate your first birthday. Time, it seems, usually flies. Especially when you have children. For instance, when Emma turned one, I didn’t know where the time went. The months and milestones just rolled right by and I remember wishing life would slow down. As I approach what should have been Isla’s first birthday, her death and birth feel like so long ago. Perhaps it’s because I wasn’t living through all the milestones that occur during the first year of a baby’s life and the rapid growth from month to month that seem to make time fly by. Looking back, I feel like a lot has happened since then. I went through a whole 8 week maternity leave, tried for 6 months to get pregnant again, then spent 11 weeks pregnant, just about a whole trimester, before learning I miscarried. Each of those events themselves seem like they lasted a lifetime. No wonder the year feels like it was long. Now, as September 27th nears, I cannot help but be filled with a yearning for things to be different. To go back to exactly a year ago from now, when Isla was still alive, about to be born… and do something, anything that would have created a different outcome. I so wish I was planning her first birthday party. To be honest, I feel a little overwhelmed, like I should have some grandiose plan to honor her on this solemn anniversary. Part of me feels like I should do some big thing – I don’t know what – but that shouts to the world that Isla made a mark and that she meant something. 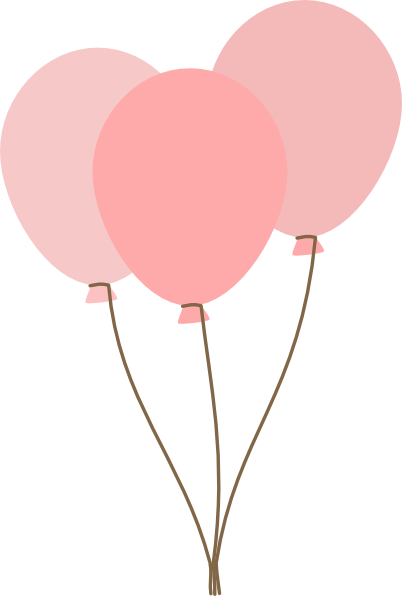 We do plan on honoring Isla’s memory by bringing a rose to the cemetery with a balloon for Emma to send up. She meant a lot to us, still does and always will. This is a photo of Isla's Memorial brick at the cemetery where her ashes are buried. It has special meaning because it is a tribute to Isla from Todd, Emma and I, along with our parents, our siblings & their families. Isla is a very special daughter, sister, granddaughter, niece and cousin. My sister, Amy, who is 10 years older than me, worked at a store called Brian Alden in the Branhaven Plaza (Branford, CT). I believe she was 16 when she started, which made me only 6. My Mom and I used to visit her at the store on occasion. The store carried a variety of wood toys, stuffed animals and wood furniture and household items. It was a pretty great store! Anyway….2 years later, my sister was getting ready to leave for college….I don’t remember the exact year….but it was mid 80’s. I had come in to visit and fell in love with this bear. Fast forward to our annual family vacation at Higgins Beach in Scarborough, Maine. It was bedtime for me and I made my way to my bed, which was situated on the floor in my Mom and Dad’s room b/c we were sharing a cottage with limited space. As I approached my bed I noticed the bear I had admired again and again, relaxing on my pillow! I really don’t recall the rest of the details, but my sister bought that bear for me because she was leaving for college that Fall and felt her little sister needed a bear to comfort her during the lonely times. She was so right! That bear sat on my bed for years to come, as a symbol of comfort. He travelled with me to Atlanta, GA in February 2001 when I moved out of my house to live with Todd. I kept him in my closet for 8 years before he was called to life again! Emma was a year old. I had this bear in my closet that I thought she would like. That is a total understatement!!!!!!!!!!!!! I introduced her to bear and thus began a relationship that is still going strong today! She loved “Bear” from the moment she met him. She brought him everywhere and loved to pick at his fur for comfort and to help her fall asleep at night. When she started daycare at Bright Horizons, she brought bear and everyone got to know him! Today, on this special day of Teddy Bear recognition…I would like to thank bear. He has truly been a source of unconditional love. Not only that, but he has carried his love through the ages….across families as a reminder of our love and bonds. As many times as I need to sew or patch bear up, I will. He is a special part of our family that defines tradition and love! Kindergarten – A Sigh of Relief! I’m proud to say I am surviving Kindergarten! I will be the first to admit, I did a lot of worrying over the summer about Emma’s transition to Kindergarten. She had been going to Bright Horizons, located on our work campus, with only work people’s kids since she was 16 months old. I had formed relationships with teachers, staff and parents and felt fully comfortable and content with the way things were. Kindergarten and Elementary School seemed like a whole new foreign world to me and I harbored a lot of anxiety in the weeks and days leading up to the first day of school. Part of it was also due to Emma’s own reluctance. She was not looking forward to the change and that multiplied my own anxiety. I tried to keep it positive for Emma, though. In preparation, we talked a lot about all the friends she would make, and things she would be doing and learning in Kindergarten. We shopped for clothes, supplies and lunch box staples. We visited her classroom and met her teachers. When the first day of school came around, Emma was terrified. She clung to us as we walked her in and the tears started as soon as we got to her classroom. After getting her somewhat settled, assuring her it was going to be ok and a final hug, kiss and I love you, I walked out the door and my own tears started flowing. I had been nervous about this whole thing, but I hadn’t expected to be that emotional. I was somewhat embarrassed, so I kept my head down and made a bee line for the car with poor Todd walking behind. He assured me she was going to be ok, but I was so sad to leave her crying and scared. I rode to work with such a heavy heart. Then…I missed a call from the school and panicked because they didn’t leave a message. I did end up getting in touch with her teacher and she said she called me to reassure me that Emma was doing great and stopped crying shortly after I left. She said she doesn’t usually do that, but she could see it in my eyes that I needed some reassurance. I am so grateful for that because I was able to get on with me day feeling a lot better. Todd was home sick, so he went to pick her up instead of having her go to the After School Program. They called me when they got home and Emma chattered on happily about the things she did and the new friends she made. WHEW! That made my day. On the way home I stopped and got her flowers, balloons and an ice cream cake to celebrate a successful first day! Since then, things have been running very smooth and we have fallen into a good routine. She is more tired at night due to getting up earlier, no nap and increased activity. Last night she was sleeping by 8:30, and although we were not quite sure what to do with ourselves at first, Todd and I enjoyed a little peace and quiet to unwind and relax. Something we definitely were not used to since she has always been a NIGHTHAWK!!! She loves to help me pack her lunch and pick out her clothes the night before and genuinely seems to be enjoying the Kindergarten experience. This morning, we got out of the house on time and in peace since we were all rested and relaxed. Todd asked us if he came home with the wrong family last night!!!! We do have some work to do on drop off. I am still walking her in. She is clearly not ready to hop out of the car in the drop off lane (although I KNOW she could do it). We are trying to take it a step at a time. She still cries a little when I drop her, but I have toughened up and don’t feel the need to stay until she calms down (b/c I know that will only prolong it). I am getting over my desire to stay and make it better because I know she is capable of pulling herself together on her own and this is building up confidence in her that she can do it. Kindergarten isn’t so bad after all! Well, ain’t that the truth? In my last post, I spoke of my readiness and hope to get pregnant again. Well….just a short time after that, my prayers were answered and we were absolutely relieved, excited and terrified to confirm I was pregnant and we were on our way towards fulfilling our wishes to add to our loving family! My due date was February 24th and as the weeks went by we were cautiously optimistic about the good times ahead, with our hopes and dreams of Emma finally getting a chance to be a big sister!! I knew it was going to be a long 9 months of worry and anxiety, particularly as we approached the 38 week mark when Isla passed away. But I was full of courage and knew that I had the full support of Todd and friends and family as we anticipated Baby Santello’s safe arrival. We eventually told Emma the news and she was absolutely delighted to have another chance at being the big sister and immediately talked of how she was going to take on all duties pertaining to taking care of a baby! Todd and I were going to have it made!! We told some close family and friends, but I was very hesitant to make this news “public” before I heard a heartbeat or saw an ultrasound with a wiggling baby. I know most people do wait until at least the first trimester is over…but last time I think I spilled the beans around 9 or 10 weeks. This time I was so afraid to jinx it. I visited the doctor at 9 weeks and thought they may listen for the heartbeat…but they didn’t. At that time, I think there is a 50/50 chance of hearing it, and I believe they didn’t even want to try in case they couldn’t because that would have really caused me to worry, even though I know it’s not guaranteed at that point. I was disappointed since I had really been hoping to be assured of some sign of life. But, I was feeling tired and nauseous and cranky…so I figured, no news is good news, right?! I was having an ultrasound soon, so we’d just wait for our reassurance then. At the beginning of my 11th week, I noticed some slight spotting. It wasn’t totally worrisome, as that can be common in early pregnancy, but I felt the need to call my doctor because she had assured me she was there for me whenever I needed her. So I told her what was going on and she wasn’t too concerned but told me to come on in for an ultrasound in the office for reassurance. I was a bit nervous b/c it would be the same room that I learned of Isla’s fate. I tried to remain positive. However, I cannot deny that I had a really bad feeling as I was driving to the doctor. I had thought about having Todd come with me…but once again…I just wanted to stay positive and was trying to be brave. I just couldn’t get the nagging feeling out of my head that I was going to see nothing up on the ultrasound screen. I tried to chalk it up to being nervous about this pregnancy in light of what we’d been through…that it would be pretty normal to be so nervous. Anyway…yeah….when the image came up on the ultrasound screen, it was a big empty hole. Sadly, where we should’ve seen what looked like a jumping bean, there was nothing. I knew…even though they had to send me to my Perinatologist for a more in depth ultrasound and confirmation. Todd was waiting for my call and I didn’t have to say anything since he knew from my sobs that my fears were true. This little one was not meant to be. He/She stopped developing at 6 weeks and just didn’t have what it needed to continue on. Thankfully nothing was wrong with me…other than a broken heart and dampened spirit. The doctor’s said that sometimes these things happen and still see no reason for me to think I can’t go on to have another healthy pregnancy and baby. After a few days of healing physically and emotionally, I came to terms with the fact that this wasn’t meant to be. I am trying not to dwell on it and know that sometimes in life there are misfortunes we must face on the way to where we are going. This was definitely a blow to our family to have to deal with this so soon after losing Isla. But we have each other…so I know we are going to be OK.
We are ready…whenever you are. So…today, we were riding home from work/school…and Todd and I were discussing some things that have been bothering me lately. I’ve been feeling down about some things and Todd wanted to know what’s been troubling me and how he could help. Lately, I have been missing my family and sometimes when summer starts I think back to how much I loved summer when I lived in Branford, surrounded by family and friends. Also, I cannot deny that I am feeling a bit down about the hopes and what-ifs of getting pregnant again. It’s been 9 months since Isla died and I live in fear that I was not meant to be the mother of 2. I was expressing this to Todd in the car and Emma piped up from the backseat wanting to know how a baby would get in my tummy. EEK! Todd turned to me and said “Kate…?” So…I turned and told Emma that God would send us a baby when he thought we were ready for one. That seemed to appease her. She asked if our baby was “inbisible” (invisible) until God sends him/her to us. I told her yes and that we must be patient until our time comes. That appeased her, but left me with questions. How do I prove I am ready? Is having a baby a scientific thing…or a miracle…or both?? I believe it is both and that timing is everything; not only the timing of the egg meeting the sperm but the timing in life. I am hoping that spring or summer of 2013 is perfect timing to welcome a much wanted addition to our family. I hope God is listening closely. We are ready to let hope into our hearts that we might be fortunate enough to expand our love to another member of the family. I am a 38 year old wife and mom living in Smyrna, GA. This blog is dedicated to my daughter Isla, who was stillborn on September 27, 2011 at 38 weeks. Shortly after losing her, I decided that I should tell my story in the form of a blog - a way of keeping Isla’s memory alive and a place to document the healing process as we move forward with hope in our hearts and the infinite love of Isla and our little family to keep us going. “We” consists of my husband Todd and daughter Emma, who is 6 years old! This is my first time creating one of these, so for now, I am keeping it simple while I learn about creating and editing. If you stay with me, you may see some changes along the way.